200ml. Black Canon ink cartridge refill kit with detailed instructions & diagrams, all essential refill tools, top quality contaminant free ink for optimum printer performance and picture clarity, (please advise model of printer with your order so as we may send the correct instructions and formula ink). Also included is a chip by-pass procedure where applicable. Note, some printers will continue to give off an ink level low warning when refilled, however, will otherwise continue to print as normal, such is modern day chip technology when you want to try to save money. Most Canon Pixma genuine black ink cartridges require 10 to 15ml. of ink to refill depending on the printer model. If you are unsure as to the capacity requirement for your cartridge, just email us for this information (link top right of page). The number one rule to successful ink cartridge refilling is inject the ink slowly. We have do it yourself ink refill kits for the following Canon black ink cartridge part numbers, BCI3, PGI5, BCI6, CLI8, BCI21, BCI24, PGI35, CLI36, PG37, PG40, PG50, PG510, PG512, PGI520, CLI521, PGI525, CLI526, PG640, PG640XL, PG645, PGI650, PGI650XL, PGI670, PGI670XL. Our refill kits can be used for the following Canon inkjet models I865, I950, I950D, I965, I990, I9100, I9950, IP1200, IP1300, IP1600, IP1700, IP1800, IP1900, CANON IP2200, IP2400, IP2600, IP2700, IP3300, IP3500, IP3600, IP4000, IP4200, IP4300, IP4500, IP4600, IP4700, IP4800, IP4850, IP4950, IP5000, IP5200, IP5200R, IP5300, IP6000D, IP7260, IP8500, IP8760, IX4000, IX5000, IX6500, IX6550, IX6860, MG2160, MG2260, MG2460, MG2560, MG3160, MG3260, MG4160, MG4260, MG5150, MG5250, MG5350, MG5460, MG5560, MG5760BK, MG5765, MG6860, MG7760, MG6150, MG6250, MG6350, MG6360, MG6460, MG7160, MG8250, MP140, MP150, MP160, MP170, MP180, MP190, CANON MP210, MP220, MP230, MP240, MP250, MP270, MP280, MP282, MP450, MP460, MP470, MP480, MP490, MP492, MP495, MP500, MP510, MP520, MP530, MP540, MP550, MP560, MP600, MP600R, MP610, MP620, MP630, MP640, MP750, MP760, MP780, MP800, MP800R, MP810, MP830, MP960, MP970,MP980, MP990, MX300, MX310, MX376, MX436, MX516, MX396, MX456, MX526, MX550, MG3560, MX536, MX476, MX496, MX700, MX715, MX726, MX860, MX870, MX885, MX895, MX926, S800, S820, S820D, S830D, S900, S9000. 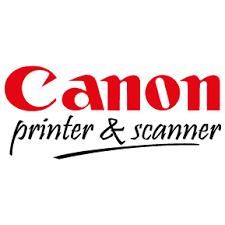 Copyright © 2019 Discount original and quality guaranteed compatible printer ink & toner cartridges for Brother, Canon, Dell, Fuji Xerox, HP LaserJet, Konica Minolta, Kyocera, Lexmark, Oki, Ricoh & Samsung. Next working day delivery most destinations. Distributing from Sydney, Melbourne, Brisbane, Perth, Adelaide. Reliable printer cartridge supply "nothing substitutes for genuine lower prices & fast service"